Did you get a new Kindle or iPad this holiday season? Do you want to know how to download ebooks from your library’s electronic resources? 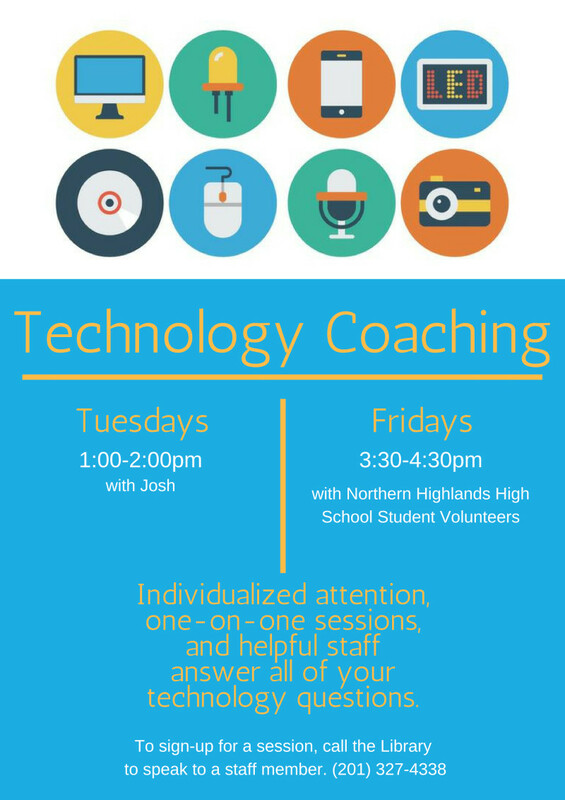 Sign up for a one-on-one technology class with a staff member of the library or a local high school student. Free, one-on-one tutoring is available every Tuesday at 1:00pm to LML patrons for general computer skills, the library resources and databases, or specific software. Please make an appointment by contacting the Circulation Desk at 201-327-4338. Every Friday during the school year, a high school student is available from 3:30-4:30pm to help answer all of your technology questions! Bring along your device for answers to questions or problems you have encountered. Please sign up at the Circulation Desk at 201-327-4338 for a time slot.